Three fearsome dragons are on the loose! Could an ancient tile-matching game have summoned them? If so, the only way to break their curse and restore the Empire to its former beauty is to solve all the puzzles in Mah Jong Quest! Travel to four beautiful oriental locations, each featuring a different way of playing the tiles and a soothing soundtrack to match the mood of the location. Unique "Quest" tiles provide a variety of special power-ups. 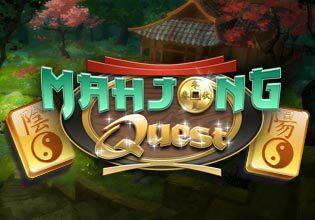 Mahjong Quest includes 48 challenging, yet relaxing levels.